Usenet is a global Internet discussion system. It was created and implemented by Tom Truscott and Jim Ellis in 1979. It comprises of a collection of newsgroups that are classified and structured on the basis of subject. Messages or articles are placed and read by users within these newsgroups. Usenet is considered the predecessor of today’s Internet forums. Usenet is distributed through an informally connected variable server mesh. It does not use the traditional central server setup nor does it have a dedicated server. In simple terms, Usenet permits newsgroup messages or postings to be sent and read as quickly as possible, through multiple server entry points. That way if one server is inactive or down, another server can be used to send posts or posts can be accessed from that server. 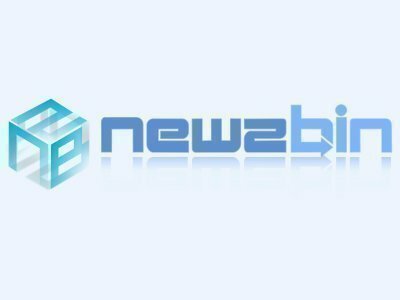 The easiest and best way to connect to Usenet is through Newsreader clients. Newsreader clients are available for all key operating systems. 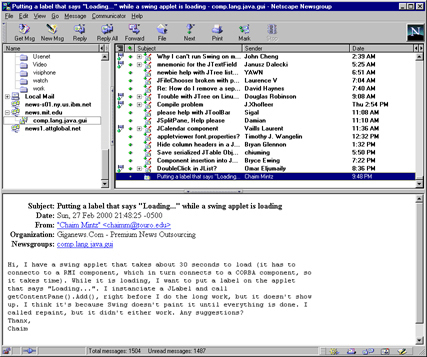 Mail clients such as Outlook Express or Lotus Notes have built-in newsreaders. These clients have to connect to a Usenet server. Certain Internet Service Providers (ISP) provide access to news servers. For example: AT&T WorldNet, EarthLink, Concentric, Pipeline and so on. Individual web sites also permit reading and posting of text based newsgroups. A good example of web site based news group is Google groups. Another method is to connect to free news servers. But these servers consume a lot of bandwidth and are mostly read-only servers. At times multiple free servers have to be merged together to connect to a single server. In such cases, it would be better to connect to commercial news servers which charge a fee for service usage. 88 queries in 0.279 seconds.